The Four D's of Custom Branding a Business — The Hello Co.
Branding is more than what a business or entity looks like, whether it be on paper, in person, or online. 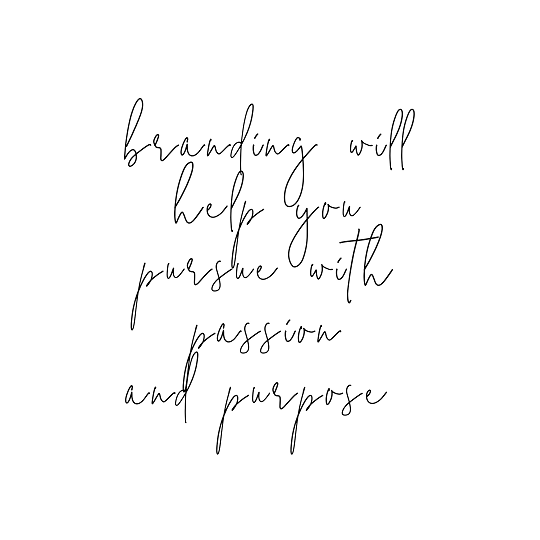 Branding is about the values that form the foundation, the vision that sets you apart, and the voice that is uniquely yours. Here is our four-step approach to custom branding. Dream: Your idea is ready to come to life. We get that. We’ve been there before. Sometimes it’s a small idea that takes time to blossom, other times it hits you hard and fast. You’re inspired, and maybe a little scared. But you’ve made the decision to pursue with passion. Hang on to that dream, because in the next step it becomes very tangible. Discover: It’s time to make that dream a reality. And it’s time to ask yourself a lot of questions. Uncovering the what, why and how, you will start to shape your vision and mission. While two people might have the same dream about becoming a photographer or launching into a home design business, those two dreams are very, very different on paper. What values set you apart? What characteristics define you personally and professionally? Why is this dream your passion? What are you looking to accomplish now, a year from now, a decade from now? What value are you providing clients? Declare: Now you state your business, purposefully and with passion. With a business name in hand and a tagline to guide you, core values are defined, your mission statement is fine-tuned, and your business plan is in place. You know exactly what you offer and what your ideal client looks like. You are clearly solving a problem or filling a need for others. With these important details determined, your brand identity can begin. Design: Using your vision, your values, and your voice you can now think about what that dream looks like visually. What colors? What fonts? What style do you represent? Minimalist, funky, traditional? Mood boards and color palettes come together to start to provide a unified visual representation of your business. A story starts to form. And if you’ve never branded your business before, this is a really exciting chapter for you. Perhaps the first chapter in a whole new book. Bonus! Details: Life is in the details. Which is why a Custom Brand incorporates so many details. Brand, variations, favicon, brand mark, fonts, colors, and patterns are these details that together, create a visually pleasing and cohesive experience. You can ask any of our clients, this is a process. Sometimes difficult and oftentimes exciting, we dive deep into uncovering your mission and principles and unique qualities. We learn what makes you tick and what ticks you off. We uncover your hidden talents. We identify your key personality traits. We reveal the heart of your business. We then brand it soulfully. Your vision has a voice and we are here to help you design it visually.